Two members of the maintenance team stopped me in the high school hallway. When asked, I was 98% sure which tree they were referring to. 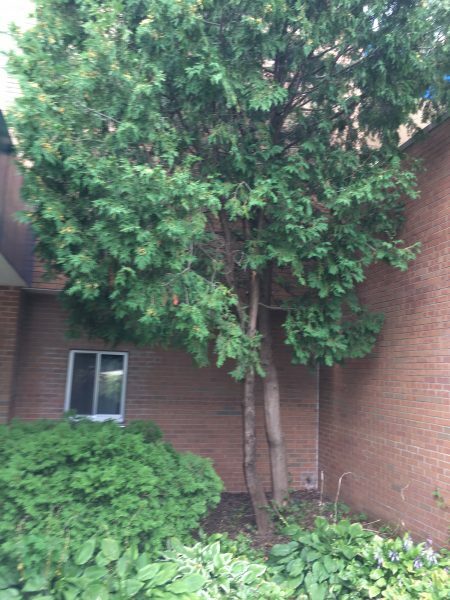 Steve, our building custodian, and I had discussed last year about removing the tree. It had outgrown its space. The branches had now extended above the walls at the second level. It hindered the maintenance crew’s efforts to remove the snow from that upper area. Still, I wanted to be sure that the tree they were talking about was, in fact, the same tree. Yes, it was that tree. Was it necessary for me to go back and confirm this, even though I was 98% confident? What’s the worst that could have happened? They could have cut down the wrong tree, I guess. With teaching and leading in a school, it is even more critical that we are all on the same page. Clarity is critical for trust. Without clarity, we make assumptions about people’s beliefs and actions. For example, if we had different understandings of what it means to teach “the whole child”, our school might have different expectations and approaches in our work with kids. Some of us might not value the social and emotional needs of students as much as others. That is how we end up with inequity in our schools. Student placement in classrooms becomes a lottery system in which some kids get a considerably different educational experience than others. Our faculty is engaged in the journey of knowing which tree we are talking about. Our “tree” is literacy. 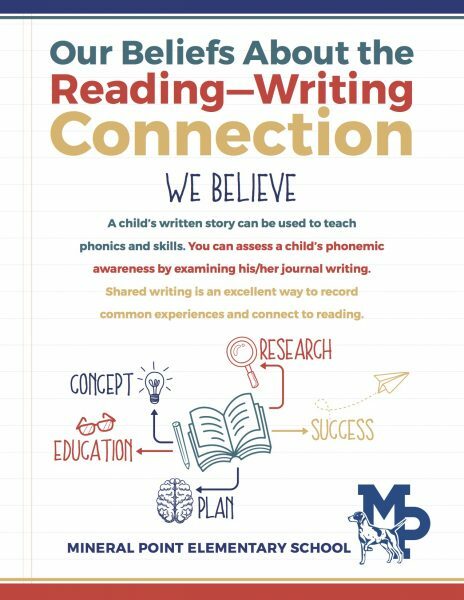 Specifically, we are focused on the connection between reading and writing. We are meeting monthly during professional learning communities to watch expert instruction together via video, have professional conversations about what we saw, and then try out the instructional strategy in the classroom. Celebrations of our efforts and student learning results happen regularly. Through these activities, we are achieving clarity about promising practices for reading and writing instruction. We are on the same page which helps ensure students are receiving equally effective instruction. This is not to say that teachers don’t have some latitude in how they facilitate learning in their classrooms. The neat thing about this work is that it can be applied to many different resources and units of instruction. I’ve heard the phrase “This is common sense!” when teachers have engaged in learning about effective literacy instruction. As Regie Routman, the developer of our professional resources, notes, “When has common sense not been acceptable in schools?” As we have found agreement about what is important for all students to experience, we have collected these beliefs as statements and made them visible throughout the school. As a school, we will continue this work of not making assumptions about our teaching and learning philosophies. We will continue to examine our instruction, our students’ results, and our beliefs about literacy. Even when we might be 98% sure about our work, we will strive to be on the same page, 100%.